The article presents results of the review competition of children’s architectural and artistic creation of the XXIII International Festival “Zodchestvo”. The competition was initiated by Inga Abaeva, the head of “Start”, one of the most advanced children’s art schools in Moscow. Together with her colleagues, she has created the methods of formation of creative personalities by means of architecture and design. These methods are recognized not only in Russia, but also abroad. TOVMASYAN, Eduard. Inga Abaeva is Forever with Us. 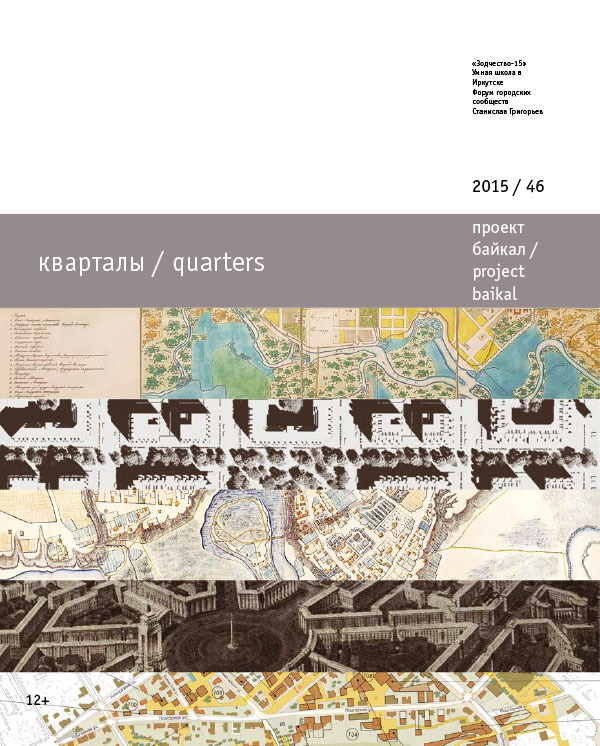 project baikal, Russian Federation, n. 46, p. 16-19, dec. 2015. ISSN 2309-3072. Available at: <http://projectbaikal.com/index.php/pb/article/view/936>. Date accessed: 26 apr. 2019. doi: https://doi.org/10.7480/projectbaikal.46.936.